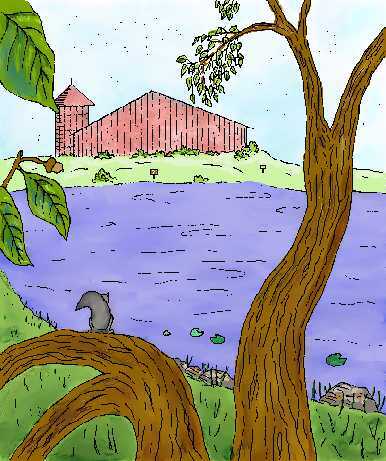 Out behind the big red barn at the edge of the walnut grove is a most magnificent pond shaded by an old oak tree. I'll tell you right now, before it's too late. It belongs to McFeeglebee. Copyright ©1993-2003 Carol Moore. All rights reserved. or by any process without prior written permission from the publisher.